Eligibility: Students of Standard VII to XII with prior online registration on our websitehttp://www.imwakuwait.org. - All participants to report on time at the venue. Program will start at 4:00PM sharp. - The first event of the evening is essay writing competition expected to start at 4:00PM Sharp. 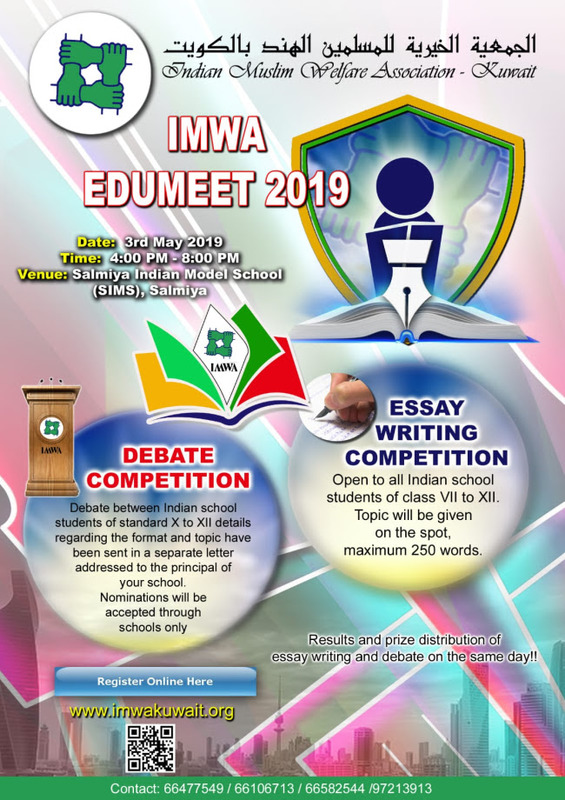 - Winners of the debate and essay writing competitions will be announced on the same day. - The event will conclude with prize distribution by our chief guest to the debate and essay writing winners. - Questions and spot prizes for the audience throughout the program! Do not miss! !